How to Make Money from a Car Boot Sale? Car boot sale is considered to be a way of earning extra income while de-cluttering a home. There are several things to be considered when it comes to selling all stuffs successfully. This could give a huge amount of income in return. Car boot sale usually requires time and effort to acquire successful and productive results. This is the reason why as early as now, one must be fully equipped with the right skills and knowledge on how to make money from such business venture. How to Set Up a Car Boot Stall? In setting up a car boot stall, the first thing one has to consider is more on getting a license from the state where one will have this business. With the proper permission for the upcoming car boot sale, it will then bring ease and convenience, peace of mind. Creating a car boot sale with presentable and attractive ambiance will ensure of more buyers who will be interested of buying any of the items to be put on sale. Go all throughout the rooms, cupboards and drawers inside the house and try to determine some of the items to be put on sale. The things to sell include kitchen utensils, toys, clothing and all other items which are still new but are not anymore used at home. Still, it is essential to consider selling only those items that are still at their best condition. As far as car boot sales are concerned, one must not buy the materials if these could already be found at home. This is especially true when it comes to setting up a car boot sale. If one has no enough material but one really wants to set up a car boot sale, then one must buy material from a local market nearby. Idea of car boot sale is to just clear your home from things that are no more in use. However, if you see this concept working well in your neighborhood, then buy things from the wholesale market and resell it through car boot market. How to Organize a Car Boot Sale? Learn how to organize the car boot sale. Always bear in mind that the presentation or organization of the items could help break or make a car boot sale. A messy table will never appear attractive to customers. Thus, there is a need to turn it into such a tidy and clean looking one. Try to put all of the items in different category to promise an ease and convenience among customers. When it comes to the average car boot profit that will have to be obtained, it will depend on the price of the items that will have to be sold. Since these are put on sale, one must sold them at the lowest possible prices as compared to the original prices. But, no matter how low the price range of the items in car boot sales, rest assured that one could always obtain the right amount of profit. Increasing retail sales is not as hard as you think. As a retail store owner you need to know the importance on how to boost the sales and considering tips to increase retail sales can help in achieving success. You will notice garage sales are very often during summer in US because this keeps people busy and make them earn some money as well. Do you want to start your own garage sale business? 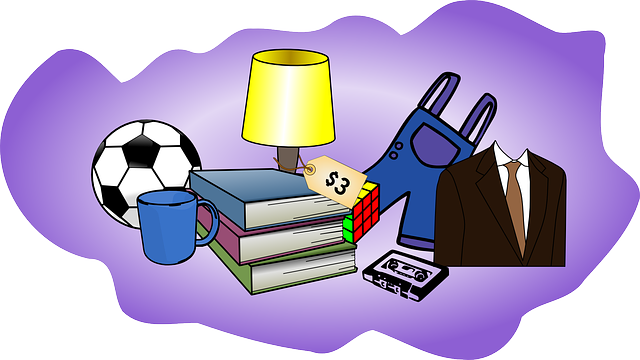 Read this article which described on starting a garage sale business.